Do you think of yourself as an introvert? 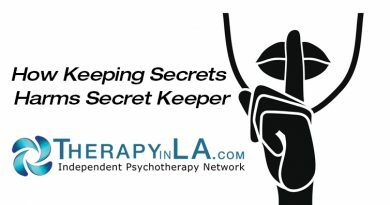 Have you been told, perhaps in a condescending, judgmental manner that you are “shy”, with the not-so-veiled message that there is something wrong with you? In our culture that so values people being outgoing, sociable, and extroverted, do you know what percentage of the population is actually introverted? Can you really describe, with some precision what an introvert is? A best-selling book by Susan Cain will answer these and many other questions: Quiet: The Power of Introverts in a World That Can’t Stop Talking. At times moving and eloquent, this well-written, readable book designed for a general audience combines a superb balance of definitions, seminal research, anecdotes, and personal reflections from the author. Ms. Cain is herself an introvert. Though a lawyer by profession, not a psychologist, Ms. Cain touches many of the important bases and delves into matters of real substance. Introversion is presented as a way of being that has innate strengths and advantages, particular talents, and the potential for much success – if it is genuinely understood and valued. Less in need of stimulation. Prone to work more slowly and deliberately, preferring to engage one task at a time with focus. Social with close friends and colleagues, or family one-on-one, or in small groups. Communicative as much or more by listening than talking. More likely to think before they speak in what they prefer to be deeper discussions rather than small talk. Less comfortable or tolerant of conflict. In a more clinical vein, couples are often composed of one introvert and one extrovert, with each of them attracted to the other’s qualities. Conflict can ensue however when social plans and choices are involved, such that the extrovert may want much more social activity with larger groups than is comfortable for the introvert. Finding a workable middle ground takes patience, flexibility, and a willingness to experiment together with various approaches in a respectful negotiation. If each person’s way of being is respected, understood, and valued, creative and satisfying arrangements can develop, sometimes through repeated trial-and-error cooperative efforts. I have seen this many times in couple’s therapy, and Cain outlines it herself in some detail (Chapter 10). Many other substantial and fascinating issues are raised by Ms. Cain’s work. Colleagues, clients, and friends have consistently acclaimed her work as enlightening and helpful, not only for introverts, but also those who are extroverted and involved with introverts that have mystified them in the past. Definitely a must-read. Copyright 2017 by Alan M. Solomon, Ph.D.